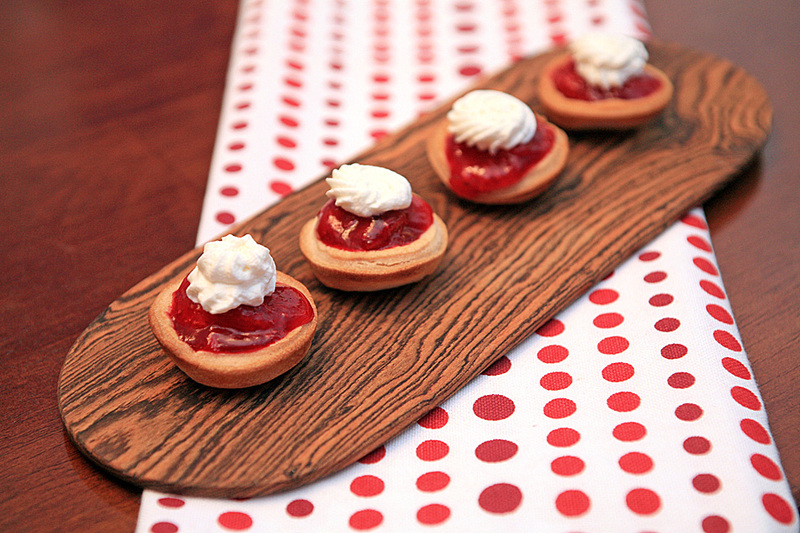 We love these cute little tartlets and they literally take no effort to make. 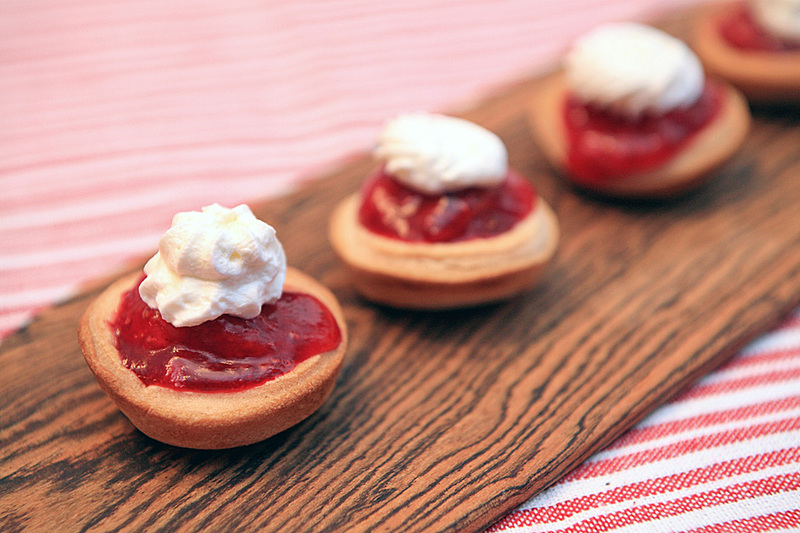 These are the perfect bite-sized snack and our easy peasy recipe will have you popping these adorable tarts in your mouth quicker than it takes to bake cookies. Preheat oven to 325. Roll out each pie dough round onto a clean dry surface. Using a 2 1/4-inch biscuit cutter cut 12 rounds from each dough. Gently press the rounds into each of the mini muffin tins to form mini crusts. Bake until lightly browned, 12 to 15 minutes. Spoon jam into each tartlet and top with a swirl of whipped cream. These are SO cute, and they look delicious!